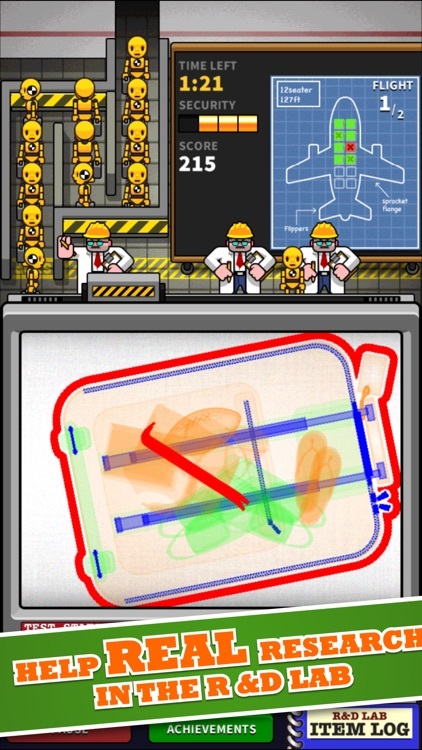 Try your skills as an Airport Baggage screener in Airport Scanner! 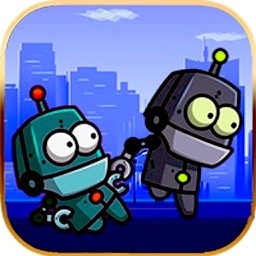 Now featuring the ALL NEW R&D Lab where you can test your skills with dozens of new levels and gameplay modes! 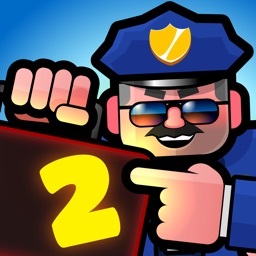 Airport Scanner is the hit game that went #1 in over 20 countries! Every day at the airport is busy and hidden among the impatient travelers are a bunch of bad guys trying to bring all kinds of bad stuff onto flights. It’s your job to scan the carry-on luggage, find the illegal items and get flights out on time. 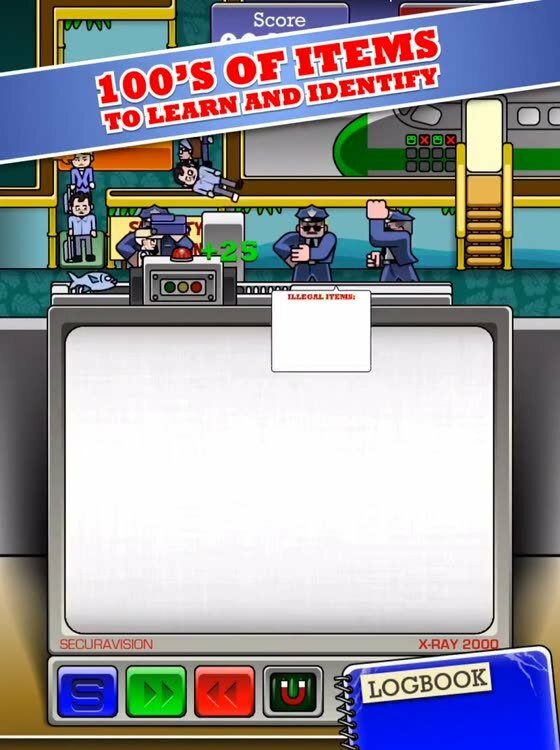 To make your job easier, you have an awesome X-RAY scanner that you can upgrade with all kinds of power-ups and a trio of burly TSA agents that will lay down the pain on any troublemakers. Airport Scanner puts you in charge of operating a life like X-RAY scanner working for the TSA. 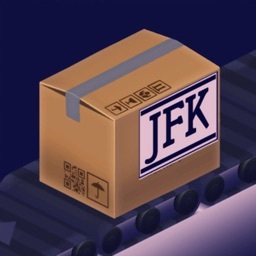 Mark illegal items, expedite flight crew + first class passengers and look out for air marshals all while getting every flight out on time so passengers don’t riot! 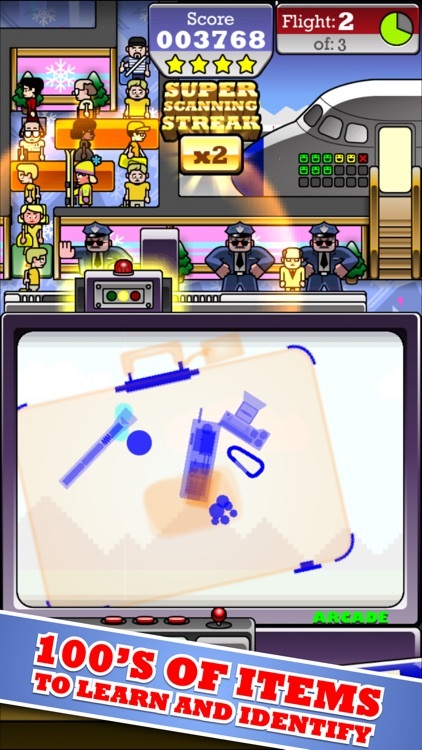 Each day at the airport gets more difficult, with new passengers, more illegal items and more flights to fill as you rise in rank from trainee to an elite operator. 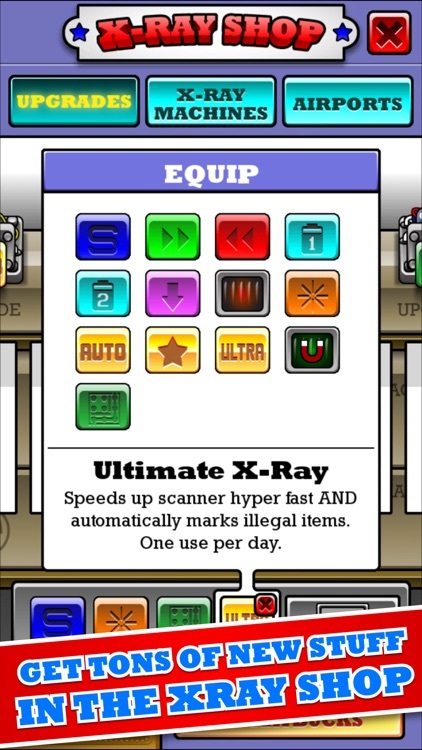 Earn XRAY bucks to purchase scanner upgrades to help along the way. * All New R&D Lab with 50+ new levels! * Seven Fun Airports – Honolulu, Las Vegas, Chicago, Aspen, London, North Pole and the Moon. 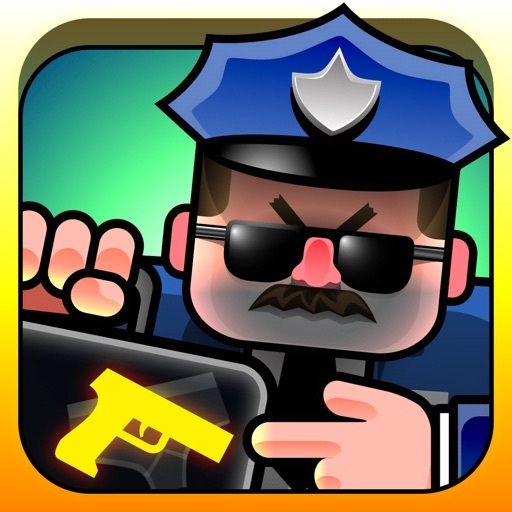 * Hundreds of levels mean hours of enjoyment. * Real TSA Prohibited and Allowed Items. 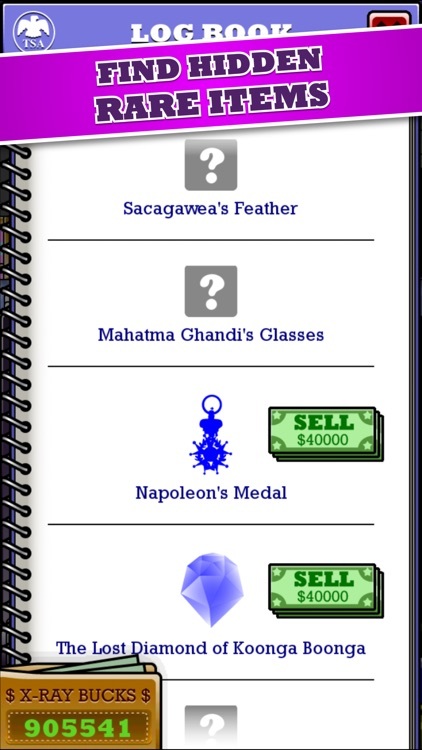 * Tons of Hidden Rare Items to Find and Redeem for Xray Bucks! * XRAY 2000 – Top of the line luggage xray. Fully upgradeable! 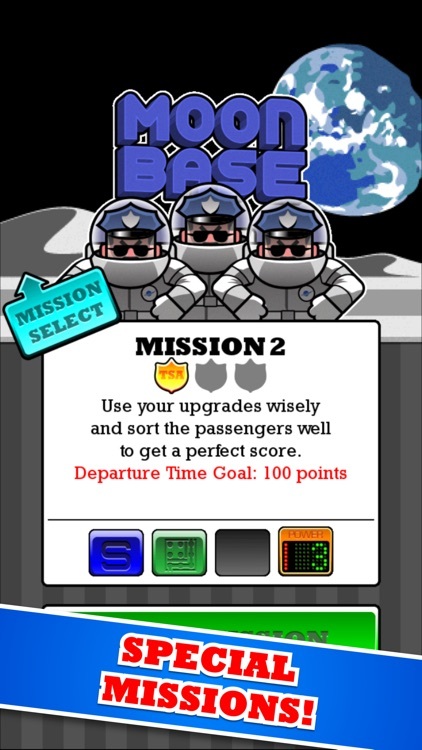 * Line Management - fast track first class passengers, hold next flight passengers and get flight crew on their flights! with just one tap! * Item Logbook - Track your progress in the logbook. 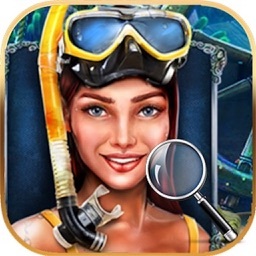 * 75+ Addictive Achievements - Earn them ALL! 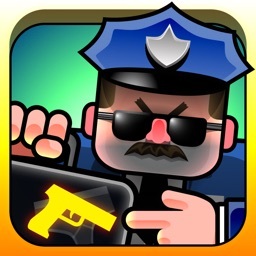 * Beautiful iPhone Retina graphics. * Universal support including iPhone 6/6+. 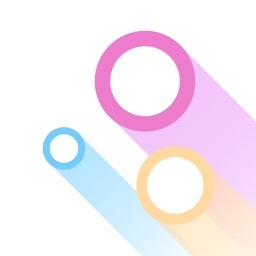 * Game center leaderboard and shareable scores. * Get social by challenging your friends to compete on Facebook and Twitter. Haven’t you always wondered what it would be like to operate the X-RAY Scanner at the airport? Here’s your chance! All right there, rookie? 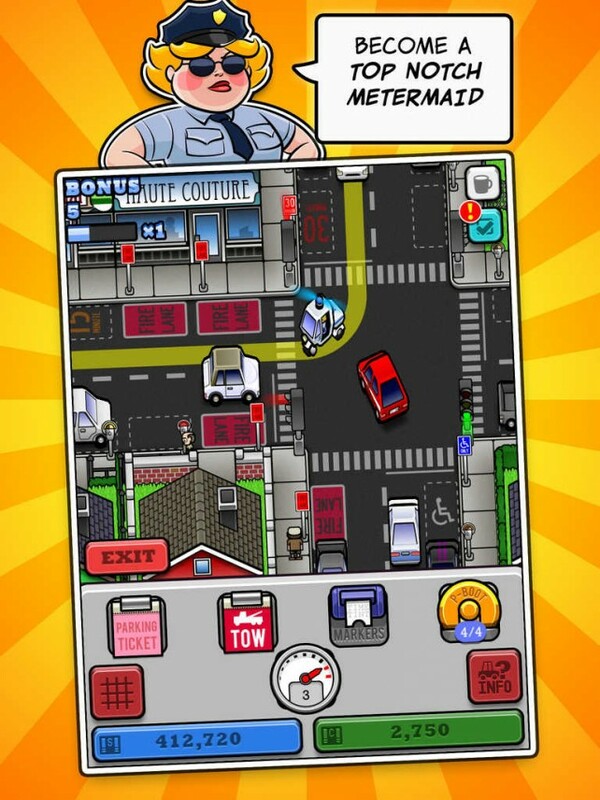 It’s time to begin your journey toward the top of the parking enforcement leaderboards in Meter Maid City. 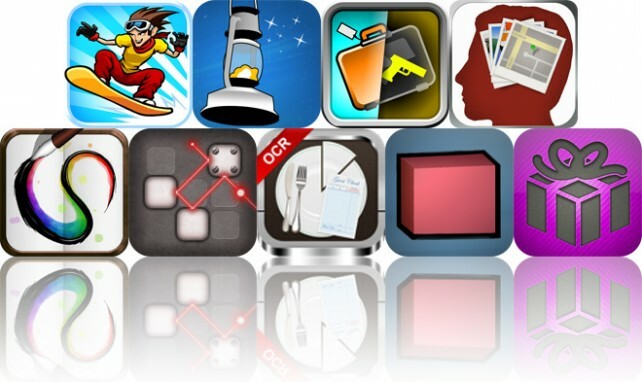 Today's AGF list includes a tilt-based arcade game, an app that will help you fall asleep, and a casual game.